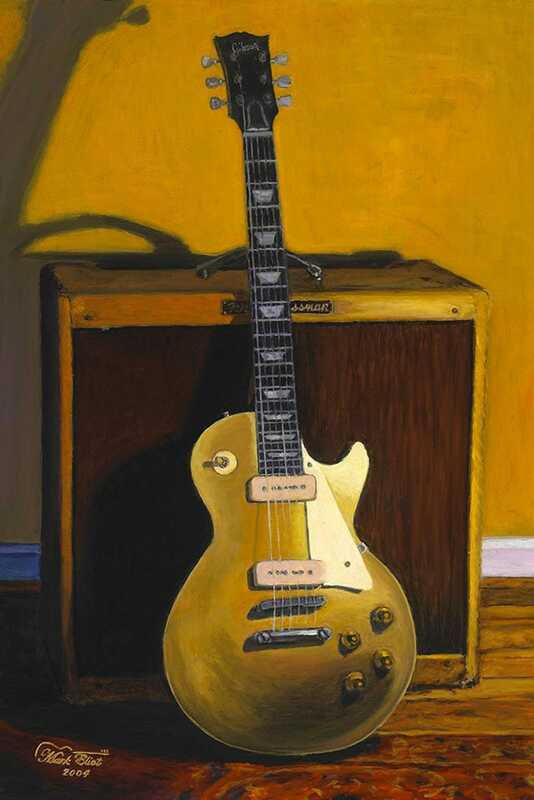 24×36″, ‘Vintage Gold Top & Tweed Bassman’ , original painting, oil on linen, by Mark Lovett, for sale. This is a painting that I created using an original 1956 Gold Les Paul with P90’s and tunematic bridge leaning against an original 1959 Fender Tweed Bassman amp, as models. A classic vintage guitar and amp combination!